As of November 9, 2018, there were 18,514,945 shares of common stock of Williams Industrial Services Group Inc. outstanding. 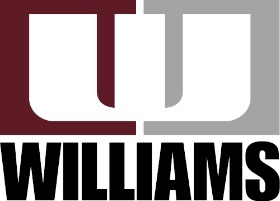 Effective June 29, 2018, Global Power Equipment Group Inc. changed its name to Williams Industrial Services Group Inc. (“Williams,” the “Company,” “we,” “us” or “our”) to better align its name with the Williams business, and the Company’s stock now trades on the OTC Pink® Marketplace under the ticker symbol “WLMS.” Williams has been safely helping plant owners and operators enhance asset value for more than 50 years. The Company provides a broad range of general and specialty construction, maintenance and modification, and plant management support services to the nuclear, hydro and fossil power generation, pulp and paper, refining, petrochemical and other process and manufacturing industries. The Company’s mission is to be the preferred provider of construction, maintenance, and specialty services through commitment to superior safety performance, focus on innovation, and dedication to delivering unsurpassed value to its customers. The accompanying unaudited condensed consolidated financial statements have been prepared in accordance with accounting principles generally accepted in the United States (“GAAP”) on a basis consistent with that used in the Annual Report on Form 10-K for the year ended December 31, 2017, filed by the Company with the United States (the “U.S.”) Securities and Exchange Commission (“SEC”) on April 16, 2018 (the “2017 Report”), and include all normal recurring adjustments necessary to present fairly the unaudited condensed consolidated balance sheets and statements of operations, comprehensive loss, stockholders’ equity and cash flows for the periods indicated. All significant intercompany transactions have been eliminated. These notes should be read in conjunction with the audited consolidated financial statements and accompanying notes included in the 2017 Report. Accounting measurements at interim dates inherently involve greater reliance on estimates than at year-end. The results of operations for the three and nine month periods are not necessarily indicative of the results to be expected for the full year. The Company’s condensed consolidated financial statements have been prepared on a going concern basis, which assumes that it will be able to meet its obligations and continue its operations during the twelve-month period following the issuance of this Quarterly Report on Form 10-Q for the three and nine months ended September 30, 2018 (this “Form 10-Q”). These financial statements do not include any adjustments to reflect the possible future effects on the recoverability and classification of assets or the amounts and classifications of liabilities that may result should the Company be unable to continue as a going concern. For the past several years, the Company has incurred both net losses and negative cash flows from operations. Since December 31, 2017, Koontz-Wagner Custom Controls Holdings LLC (“Koontz-Wagner”), a wholly owned subsidiary of the Company and the sole component of the Electrical Solutions segment, was presented as a discontinued operation. However, Koontz-Wagner continued to incur operating losses, which resulted in its bankruptcy filing in July 2018. Please refer to “Note 4–Changes in Business” for additional discussion on the bankruptcy filing. The Company’s liquidity had been very constrained. The Company’s lack of access to readily available capital resources and unexpected delays in collecting projected cash receipts could create significant liquidity problems. The Fourth Amendment to the Centre Lane Facility (as defined below) required prepayment of all outstanding amounts due and payable on the earlier of (i) May 31, 2019, (ii) the date Williams Industrial Services Group, LLC and its subsidiaries are sold or (iii) the date of acceleration of the loans pursuant to an additional event of default. On October 18, 2018, restricted cash of $5.4 million that was held as collateral on letters of credit was released to the Company, net of $0.9 million in fees owed to the collateral agent. On October 11, 2018, the Company entered into a three-year, $15.0 million Credit Agreement (as defined below). The Credit Agreement is a secured asset-based revolving credit facility that provides borrowing availability against 85% of eligible accounts receivable and 80% of eligible costs and estimated earnings in excess of billings, after certain customary exclusions and reserves, and allows for up to $6.0 million of non-cash collateralized letters of credit. On the date the Company entered into the Credit Agreement, its eligible borrowing base supported $13.4 million of available borrowings under the Credit Agreement. The Company can, if necessary, make daily borrowings under the Credit Agreement with same day funding. Please refer to “Note 12–Subsequent Event” for additional discussion of the Credit Agreement. As of September 30, 2018, the Company had formally closed its Irving, Texas corporate headquarters and implemented employee reductions in accordance with its plans. On September 18, 2018, the Company refinanced and replaced its existing Centre Lane Facility with a four-year, $35.0 million senior secured credit agreement with an affiliate of Centre Lane as Administrative Agent and Collateral Agent, and the other lenders from time to time party thereto (the “New Centre Lane Facility”). After payment of the amounts outstanding under the prior Centre Lane Facility and fees associated with the New Centre Lane Facility, net cash proceeds were $1.0 million. Additionally, under the New Centre Lane Facility, there is no longer any payable-in-kind (“PIK”) interest charge. Please refer to “Note 8–Debt” for additional discussion of the New Centre Lane Facility. While management believes the implementation of its mitigation plans have alleviated the substantial doubt regarding the Company’s ability to continue as a going concern during the ensuing twelve-month period, the risk factors described in our 2017 Report under the heading “Item 1A. Risk Factors,” are still relevant to our operations. In the first quarter of 2018, the Company adopted Financial Accounting Standards Board (“FASB”) Accounting Standards Update (“ASU”) 2016-18, “Restricted Cash (a consensus of the FASB Emerging Issues Task Force).” ASU 2016-18 requires an entity to include in its cash and cash-equivalent balances in the statement of cash flows those amounts that are deemed to be restricted cash and restricted cash equivalents. The Company adopted ASU 2016-18 on a retrospective basis, and net transfers of restricted cash of $5.6 million and $3.3 million have been presented in net change in cash and cash equivalents in the condensed consolidated statements of cash flows for the nine months ended September 30, 2018 and 2017, respectively. In the first quarter of 2018, the Company adopted ASU 2016-15, “Statement of Cash Flows: Classification of Certain Cash Receipts and Cash Payments.” ASU 2016-15 requires an entity to classify distributions received from equity method investees in the statement of cash flows using either the cumulative earnings approach or the nature of distribution approach. The Company adopted ASU 2016-15 on a retrospective basis and elected to classify distributions received from its equity method investees using the cumulative earnings approach. The adoption of ASC 2016-15 did not have an impact on the condensed consolidated statements of cash flows for the nine months ended September 30, 2018 and 2017, respectively. In the first quarter of 2018, the Company adopted ASU 2014-09 (ASC Topic 606), “Revenue from Contracts with Customers,” and the related ASUs, which provided new guidance for revenue recognized from contracts with customers and replaced the previously existing revenue recognition guidance. ASU 2014-09 requires that revenue be recognized at an amount the Company is entitled to upon transferring control of goods or services to customers, as opposed to when risks and rewards transfer to a customer. The Company adopted ASC Topic 606 using the modified retrospective method, and accordingly, the new guidance was applied retrospectively to contracts that were not completed as of December 31, 2017. Results for operating periods beginning after January 1, 2018 are presented under ASC Topic 606, while comparative information for prior periods has not been restated and continues to be reported in accordance with the accounting standards in effect for those periods. The adoption of ASC Topic 606 did not result in changes to the method or timing of revenue recognized and did not have a material impact on the Company’s financial position, results of operations and cash flows as of and for the three and nine months ended September 30, 2018. There was no material difference in the Company’s results for the three and nine months ended September 30, 2018 with application of ASC Topic 606 on its contracts and what results would have been if such contracts had been reported using accounting standards previously in effect for such contracts. The Company elected to utilize the modified retrospective transition practical expedient that allows the Company to evaluate the impact of contract modifications as of January 1, 2018 rather than evaluating the impact of the modifications at the time they occurred. There was no material impact associated with the election of this practical expedient. The Company also elected to utilize the practical expedient to recognize revenue in the amount to which it has a right to invoice for services performed when it has a right to consideration from a customer in an amount that corresponds directly with the value of its performance completed to date. Please refer to “Note 5–Revenue” for additional discussion of the Company’s revenue recognition accounting policies and expanded disclosures required by ASC Topic 606. In June 2018, the FASB issued ASU 2018-07, “Improvements to Nonemployee Share-Based Payment Accounting,” which expands the scope of ASC Topic 718, “Compensation–Stock Compensation” and applies to all share-based payment transactions to nonemployees in which a grantor acquires goods and services to be used or consumed in a grantor’s own operations by issuing share-based awards. Upon adoption of ASU 2018-07, an entity should only re-measure liability-classified awards that have not been settled by the date of adoption and equity-classified awards for which a measurement date has not been established through a cumulative-effect adjustment to retained earnings as of the beginning of the fiscal year of adoption. ASU 2018-07 is effective for interim and annual reporting periods beginning after December 15, 2018, with early adoption permitted. The Company does not expect the adoption of ASU 2018-07 to have a material impact on its financial position, results of operations and cash flows. In February 2018, the FASB issued ASU 2018-02, “Reclassification of Certain Tax Effects from Accumulated Other Comprehensive Income,” which gives entities the option to reclassify the tax effects stranded in accumulated other comprehensive income as a result of the enactment of comprehensive tax legislation in December 2017, commonly referred to as the Tax Cuts and Jobs Act of 2017 (the “Tax Act”), to retained earnings. ASU 2018-02 is effective for interim and annual reporting periods beginning after December 15, 2018, with early adoption permitted. The Company does not expect the adoption of ASU 2018-02 to have a material impact on its financial position, results of operations and cash flows. In February 2016, the FASB issued ASU 2016-02, “Leases.” The primary difference between the current requirement under GAAP and ASU 2016-02 is the recognition of lease assets and lease liabilities by lessees for those leases classified as operating leases. ASU 2016-02 requires that a lessee recognize in the statement of financial position a liability to make lease payments (the lease liability) and a right-of-use asset representing its right to use the underlying asset for the lease term (other than leases that meet the definition of a short-term lease). The liability will be equal to the present value of lease payments. The asset will be based on the liability, subject to adjustment, such as for initial direct costs. For income statement purposes, the FASB retained a dual model, requiring leases to be classified as either operating or finance. Operating leases will result in straight-line expense (similar to current operating leases), while finance leases will result in a front-loaded expense pattern (similar to current capital leases). Classification will be based on criteria that are largely similar to those applied in current lease accounting. ASU 2016-02 is effective for annual and interim periods beginning after December 15, 2018, and early adoption is permitted. ASU 2016-02 must be adopted using a modified retrospective transition, and provides for certain practical expedients. The Company has not determined the potential impact of the adoption of ASU 2016-02 on its financial position, results of operations and cash flows. In 2018, the Company made the decision to relocate its corporate headquarters to Tucker, Georgia and vacated its leased office space in Irving, Texas on September 30, 2018. Presently, the Company is seeking to sublease the office space; however, it may attempt to pay a termination fee and terminate the lease. The Company expects to complete its exit activities related to this office space by November 2019, when the lease expires. The Company recorded exit costs related to the leased office space and the termination of certain personnel, which were included in restructuring charges in the Company’s condensed consolidated statements of operations for the three and nine months ended September 30, 2018. During the fourth quarter of 2017, the Company made the decision to exit and sell its Electrical Solutions segment (which was comprised solely of Koontz-Wagner, a wholly owned subsidiary of the Company) in an effort to reduce the Company’s outstanding term debt. The Company determined that the decision to exit this segment met the definition of a discontinued operation. As a result, this segment has been presented as a discontinued operation for all periods presented. In connection with the Company’s decision to sell the Electrical Solutions segment, the Company performed an impairment analysis on this segment’s finite- and indefinite-lived intangible assets (customer relationships and trade names, respectively) and determined that their carrying value exceeded their fair value. As a result, in the fourth quarter of 2017, the Company recorded an impairment charge of $9.7 million related to these intangible assets. After the impairment charge, the fair value of this segment’s intangible assets was zero at December 31, 2017. Determining fair value is judgmental in nature and requires the use of significant estimates and assumptions, considered to be Level 3 inputs. There were no other non-recurring fair value re-measurements related to the Electrical Solutions segment during the year ended December 31, 2017 or three and nine months ended September 30, 2018. In spite of the Company’s efforts, which included retaining financial advisors to sell all or part of Koontz-Wagner’s operations, inside or outside of a federal bankruptcy or state court proceeding (including Chapter 11 of Title 11 of the U.S. Bankruptcy Code (the “Code”)), the proposed disposition did not progress as planned due, primarily, to the absence of viable bids in the sale process, the inability of Koontz-Wagner to fund its ongoing operations or obtain financing to do so, and Koontz-Wagner’s deteriorating financial performance. As a result, on July 11, 2018, Koontz-Wagner filed a voluntary petition for relief under Chapter 7 of Title 11 of the Code with the U.S. Bankruptcy Court for the Southern District of Texas. The filing was for Koontz-Wagner only, not for the Company as a whole, and was completely separate and distinct from the Williams business and operations. As a result of the July 11, 2018 bankruptcy of Koontz-Wagner, the Company recorded $11.4 million of exit costs, which were included in loss from discontinued operations in the Company’s condensed consolidated statements of operations for the three and nine months ended September 30, 2018. These charges consisted of a $4.0 million Centre Lane Facility Fifth Amendment fee, a pension withdrawal liability of $2.9 million related to Koontz-Wagner’s International Brotherhood of Electrical Workers Local Union 1392 multi-employer pension plan, a $1.8 million negotiated settlement of the Company’s guarantee of Koontz-Wagner’s Houston facility lease agreement and a $2.7 million liability as a result of the Company providing affected Koontz-Wagner employees with 60 days of salary continuation, as well as the difference between each employee’s cost of health care at the time of their employment termination and the cost of continued benefits under the Consolidated Omnibus Budget Reconciliation Act (COBRA). The Company expects to satisfy the liability related to the lease guarantee settlement and substantially all of the salary and benefit continuation liability through cash payments by the end of 2018. The pension liability is expected to be satisfied by annual cash payments of $0.3 million each, paid in quarterly installments, over the next twenty years. As a result of the bankruptcy of Koontz-Wagner, the Company wrote off the related assets and liabilities on the Company’s consolidated balance sheet and recorded a loss of $9.3 million, which was reflected in loss from discontinued operations in the condensed consolidated statements of operations for the three and nine months ended September 30, 2018. During the third quarter of 2017, the Company made the decision to exit and sell substantially all of the operating assets and liabilities of its Mechanical Solutions segment in an effort to reduce the Company’s outstanding term debt. The Company determined that the decision to exit this segment met the definition of a discontinued operation. As a result, this segment has been presented as a discontinued operation for all periods presented. The Mechanical Solutions and the Electrical Solutions segments were the only components of the business that qualified for discontinued operations for all periods presented. On October 11, 2017, the Company sold substantially all of the operating assets and liabilities of its Mechanical Solutions segment for $43.0 million and used a portion of the proceeds to pay down $34.0 million of the Company’s outstanding debt and related fees, including full repayment of the First-Out Loan (as defined below). Additionally, on October 31, 2017, the Company completed the sale of its manufacturing facility in Mexico and auctioned the remaining production equipment and other assets for net proceeds of $3.6 million, of which $1.9 million was used to reduce the principal amount of the Initial Centre Lane Facility. The remainder was used to fund working capital requirements. In the fourth quarter of 2017, the Company recorded a total gain of $6.3 million related to these sales. The Company excluded an asset and liability from the sale of the Mechanical Solutions segment, which were comprised of the Company’s office building located in Heerlen, Netherlands and its liability for uncertain tax positions. The liability was included in long-term liabilities of discontinued operations in the September 30, 2018 and December 31, 2017 condensed consolidated balance sheets. The asset was included in current assets of discontinued operations in the December 31, 2017 condensed consolidated balance sheet. At the time the Heerlen office building met the “asset held for sale” criteria, its carrying value was $0.5 million; however, the Company subsequently determined that the building’s carrying value exceeded its fair value and, consequently, it recorded an impairment charge of $0.2 million during the fourth quarter of 2017. The impairment charge was included in loss from discontinued operations before income tax expense (benefit) in the consolidated statement of operations for the year ended December 31, 2017. After the impairment charge, the fair value of the Heerlen building was $0.3 million at December 31, 2017. Determining fair value is judgmental in nature and requires the use of significant estimates and assumptions, considered to be Level 3 inputs. There were no other non-recurring fair value re-measurements related to the Mechanical Solutions segment during the year ended December 31, 2017. On March 21, 2018, the Company closed on the sale of its office building in Heerlen, Netherlands for $0.3 million, resulting in an immaterial gain on sale, which was reflected in loss from discontinued operations before income tax expense (benefit) in the Company’s condensed consolidated statement of operations for the nine months ended September 30, 2018. In connection with the sale of its Mechanical Solutions segment, the Company entered into a transition services agreement with the purchaser to provide certain accounting and administrative services for an initial period of nine months. For each of the three and nine months ended September 30, 2018, the Company provided less than $0.1 million and $0.3 million, respectively, in services for the purchaser, which was included in general and administrative expenses from continuing operations in the condensed consolidated statement of operations. * The total assets of discontinued operations were classified as current on the September 30, 2018 and December 31, 2017 condensed consolidated balance sheets because it was probable that a sale would occur and proceeds would be collected within one year. The following table presents a reconciliation of the major classes of line items constituting the net income (loss) from discontinued operations. In accordance with GAAP, the amounts in the table below do not include an allocation of corporate overhead. Company’s decision to sell Hetsco, the net assets were adjusted to estimated fair value less estimated selling expenses, which resulted in a write-down of $8.3 million in 2016. On January 13, 2017, the Company sold the stock of Hetsco for $23.2 million in cash, inclusive of working capital adjustments. After transaction costs and an escrow withholding of $1.5 million, the net proceeds of $20.2 million were used to reduce debt. In connection with the Company’s decision to sell Hetsco, the net assets were adjusted to estimated fair value less estimated selling expenses, which resulted in a write-down of $8.3 million in 2016. In the first quarter of 2017, the Company recorded a $0.2 million adjustment, which reduced the $8.3 million loss recorded in 2016. The Company provides a comprehensive range of maintenance, modification and construction support services for nuclear power plants and a wide range of utility and industrial customers in the fossil fuel, industrial gas, natural gas and petrochemical industries, as well as other industrial operations. The Company provides these services in the U.S. both on a constant presence basis and for discrete projects. The services the Company provides are designed to improve or sustain operating efficiencies and extend the useful lives of process equipment. The Company’s contracts are awarded on a competitively bid and negotiated basis and the timing of revenue recognition is impacted by the terms of such contracts. The Company enters into a variety of contract structures, including cost plus reimbursement contracts and fixed-price contracts. The determination of contract structure is based on the scope of work, complexity and project length, and customer preference of contract terms. Cost plus contracts represent the majority of the Company’s contracts. There were no direct and incremental costs to the acquisition of a new contract that required a deferral of costs. A performance obligation is a contractual promise to transfer a distinct good or service to the customer. The transaction price of a contract is allocated to each distinct performance obligation and recognized as revenue when, or as, the performance obligation is satisfied. To the extent a contract is deemed to have multiple performance obligations, the Company allocates the transaction price of the contract to each performance obligation using its best estimate of the standalone selling price of each distinct good or service in the contract. In addition, certain contracts may be combined and deemed to be a single performance obligation. The majority of the Company’s contracts are in the form of master service agreements, basic ordering agreements and other similar agreements, and related subsequent purchase orders, contract work authorizations and other similar agreements. The Company’s purchase orders, contract work authorizations and other similar agreements are generally deemed to be single performance obligations, and its contracts with multiple performance obligations were not material during the three and nine months ended September 30, 2018. The Company’s performance obligations are satisfied over time because the services provided create or enhance a customer-controlled asset. Therefore, the Company recognizes revenue in the same period the services are performed. For cost-plus reimbursement contracts, revenue is recognized when services are performed and contractually billable based on an agreed-upon price for the completed services or based on the agreed-upon hours incurred and agreed-upon hourly rates. Revenue on fixed-price contracts is recognized and invoiced over time using the cost-to-cost percentage-of-completion method. The Company does not adjust the price of the contract for the effects of a significant financing component. Change orders are generally not distinct from the existing contract due to the significant integration service provided in the context of the contract and are accounted for as a modification of the existing contract and performance obligation. The Company’s contracts may include several types of variable consideration, including unapproved change orders and claims, incentives, penalties and liquidated damages. The Company estimates the amount of revenue to be recognized on variable consideration using estimation methods that best predict the amount of consideration to which the Company expects to be entitled or expects to incur. The Company includes variable consideration in the estimated transaction price to the extent it is probable that a significant reversal of cumulative revenue recognized will not occur or when the uncertainty associated with the variable consideration is resolved. The Company’s estimates of variable consideration and determination of whether to include estimated amounts in the transaction price are based largely on an assessment of its anticipated performance and all information (historical, current and forecasted) that is reasonably available. The Company updates its estimate of the transaction price each reporting period and the effect of variable consideration on the transaction price is recognized as an adjustment to revenue on a cumulative catch-up basis. The Company generally provides a limited warranty for a term of two years or less following completion of services performed under its contracts. Historically, warranty claims have not resulted in material costs incurred. Disaggregated revenue by type of contract was as follows. The Company enters into contracts that allow for periodic billings over the contract term that are dependent upon specific advance billing terms, as services are provided, or milestone billings based on completion of certain phases of work. Projects with performance obligations recognized over time that have costs and estimated earnings recognized to date in excess of cumulative billings are reported in the Company’s condensed consolidated balance sheet as contract assets. Projects with performance obligations recognized over time that have cumulative billings in excess of costs and estimated earnings recognized to date are reported in the Company’s condensed consolidated balance sheet as contract liabilities. At any point in time, each project in process could have either costs and estimated earnings in excess of billings or billings in excess of costs and estimated earnings. The following table provides information about contract assets and contract liabilities from contracts with customers. The table also includes changes in the contract assets and the contract liabilities balances during the period. Prior period amounts have not been adjusted for the adoption of ASC Topic 606 under the modified retrospective method. For the three and nine months ended September 30, 2018, the Company recognized revenue of approximately $3.4 million and $6.6 million, respectively, that was included in the corresponding contracts in progress liability balance at December 31, 2017. The following table includes estimated revenue expected to be recognized in the future related to performance obligations that are unsatisfied (or partially unsatisfied) at the end of the reporting period. As of September 30, 2018, the Company’s 18,514,945 shares outstanding included 193,589 shares of contingently issued but unvested restricted stock. As of September 30, 2017, the Company’s 17,801,095 shares outstanding included 15,279 shares of contingently issued but unvested restricted stock. Restricted stock is excluded from the calculation of basic weighted average shares outstanding, but its impact, if dilutive, is included in the calculation of diluted weighted average shares outstanding. Basic earnings (loss) per common share are calculated by dividing net income (loss) by the weighted average common shares outstanding during the period. Diluted earnings (loss) per common share are based on the weighted average common shares outstanding during the period, adjusted for the potential dilutive effect of common shares that would be issued upon the vesting and release of restricted stock awards and units.